Civil Service Rank & File Network | With the unions where they will, without them where they won't! With the unions where they will, without them where they won't! ARC, the union for senior managers in HMRC, has voted for strike action on Friday 14 February. At the same time PCS, the union for clerical grade staff, has not called any action. The Civil Service Rank & File Network urges all tax workers – regardless of grade, section or union membership – to refuse to cross picket lines on the day of the action. ARC’s dispute is over the imposition of new terms and conditions by the Cabinet Office – a matter rank-and-file civil servants have held walkout about on several occasions before – and a new performance management system aimed at sacking the bottom 10% of staff. PCS is, technically, in dispute over the new system, although they have taken no action around it and in HMRC are currently cooperating with management to analyse mid-year results which it is already clear are highly discriminatory and live up to workers’ worst fears about the system. The strike on Friday will mark the second strike by ARC, the first being November 30 2011 over pensions, and the first time that they have been out when their lower grade counterparts are not. This is the result of several consultative and statutory ballots, throughout which members of ARC defied the wishes of their union leaders to agree to the changes. PCS’s position is more damning, since instructions from their Revenue & Customs Group Conference for a strike ballot over terms and conditions and for non-cooperation up to and including strike action with the performance system have not been followed by their Group Executive Committee. This is a clear betrayal of their membership by a majority-left wing executive whose views appear more in tune with the few so-called moderates on the committee than with the rank-and-file. The Civil Service Rank & File Network believes that not crossing picket lines should be a key principle of any organised workforce. If management know that we will betray each others’ disputes based on separate union membership they will be better able to divide and conquer us, while if we all stand together in solidarity with one another we have that much greater a chance of winning. An injury to one is an injury to all. Attached is a leaflet you can distribute and use to start conversations with your fellow workers about why not breaking the strike is important. We will also be arranging a communications blockade of the HMRC Chief Executive Lin Homer for the day of the strike to allow others to increase disruption to the department and demonstrate support for HMRC staff. HMRC staff are on strike on Friday 14 February. Don’t break the strike and don’t cross a picket line. Solidarity and Happy Valentines Day! The transnational corporation, Hewlett Packard has major government IT services contracts in the UK, notably with the DWP, MoD and MoJ. HP is currently carrying out a mass redundancies programme which has led to compulsory redundancy dismissal of many PCS members, with the jobs of hundreds more being threatened. Whilst it sacks our members, HP continues to offshore work, to hire contractors and to recruit replacement workers on inferior terms and conditions through a graduate recruitment scheme. HP is disregarding the Job Security Agreement that it signed up to in 2010, as part of the settlement of industrial action over a previous round of redundancies. It is also failing to carry out its statutory obligation under the Trade Union & Labour Relations (Consolidation) Act 1992, to consult on redundancies with a view to seeking agreement. 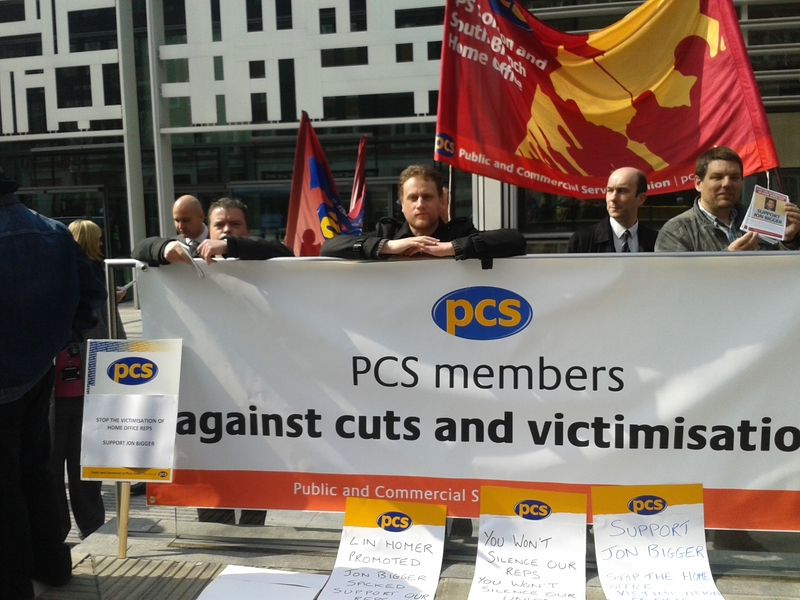 PCS members in the union’s HP Group commenced official industrial action against the job cuts on 26 April 2013. A work to rule has been continuous since that date and is currently focused on banning knowledge transfer and work migration activities, where these activities would enable redundancies to be implemented. Discontinuous strike action has also taken place in April and July 2013. In May 2013, HP supplied PCS with the statutorily specified details of proposals to sack a further 584 workers on 31 July. When the HP North West Branch Secretary, John Pearson, circulated those details to branch members, he was suspended and later dismissed on a charge of breaching company confidentiality. John was also charged with talking to a journalist about the industrial action without obtaining HP’s prior permission. The PCS HP Group Secretary, Alan Brown wrote to HP on 7 June 2013 condemning John’s suspension as an attack on the union and demanding his reinstatement. However, a few months later, whilst mass sackings were still taking place; the work to rule was ongoing; and John’s branch was conducting a consultative ballot on escalation of action, Alan wrote to John, on 29 November 2013, informing him that the union is no longer taking action to seek a remedy for him and that not only would John be unable to continue to hold office as Branch Secretary but that his membership of PCS was at an end forthwith. The General Secretary, Mark Serwotka wrote to John on 10 January 2014 reaffirming the ending of union support, on the grounds that the union’s lawyers had advised that “we could not support any Employment Tribunal claim as there was no realistic prospect of securing your reinstatement” and that “neither the group nor the branch are in a position to take industrial action aimed at your reinstatement”. Rank and file PCS activists have expressed astonishment and anger at the abandonment of support for John by union officials and are launching the John Pearson Defence Campaign, with the aim of reversing this withdrawal of support. It is vital that the union is seen to be energetically supporting a Branch Secretary who has been sacked by an employer for standing up for members as John was. Such support should be conditioned only by the principles of trade unionism, not by opinions from the union’s solicitors. HP’s action is a serious attack on the union and must be responded to as such. The potential damage to members of the HP North West Branch, in losing their Branch Secretary (in addition to the CR dismissals of two other BEC members) at such a time cannot be overemphasised. Please support the John Pearson Defence Campaign. A model resolution for Branch AGMs and/or Branch Executive Committees is set out below. A fund is being set up to assist John with Tribunal fees and legal expenses and to meet the costs of the campaign. Please consider making a donation to the fund. Details will be forthcoming very shortly so please watch this space. 1) This [AGM/BEC} gives full support to John Pearson in his campaign for Hewlett Packard to reinstate him. 2) This [AGM/BEC} agrees to take a collection towards the Employment Tribunal and legal fees for John, to be paid to the ‘John Pearson Defence Campaign’. a) Fully support John in his ET. Such support to consist of paying the ET fees, and meeting John’s legal costs, including paying for a Barrister for the ET Hearing. b) Insist that any final settlement of the ongoing official dispute with HP shall include a ‘no victimisation’ clause and agreement on John’s reinstatement. A national meeting of the Civil Service Rank & File (CSRF) Network has been called for Saturday 26 October. The meeting will take place in the Circle Theatre of the Black-E, in Liverpool, and is open to all rank-and-file government workers. This includes those employed by the civil service, government agencies, areas which have been privatised and outsourced contractors. The CSRF was set up last year following spontaneous walkouts in response to Francis Maude’s attacks on terms and conditions. The new network then staged a day of action in line with Europe-wide general strikes which saw more walkouts and pushed the PCS union to revive its resistance to civil service cuts, at a point when the campaign had been dormant for six months. This year, the CSRF put non-cooperation by workers with government attacks on claimants on the agenda. Supporters have also continued to play key roles organising in their workplaces – with the union where they can and without it where they can’t. Whilst all of this has happened, the CSRF remains a small and loose network of workplace militants. How do we build our strength and numbers? How can we support the organisation of rank-and-file workplace committees? Where do we go next in the fight against the government and austerity? Come along to the meeting and join the discussions. There will be a fare pool, so please bring your travel receipts or tickets. Emergency Action – Defend Jon Bigger, Stop Union Victimisation! Time is running out to stop unjust and politically motivated redundancy in the Home Office. A number of PCS reps in the Passport Office have been facing sustained attacks over the last few years. Disciplinary cases for reps is a common practice and long standing rep Jon Bigger has faced 3 years of victimisation during his redundancy case. This is his last week in the department unless they decide to avoid his redundancy. As things stand they have refused to provide him with a role even when he has applied for them as the only candidate and they continue to recruit people at his grade. In the wider Home Office we have seen other PCS reps sacked on spurious charges. This is a hostile department that refuses to listen to reason. Only action will change their stance. The Civil Service Rank and File Network is organising two communications blockades of the Passport Office and the Home Office. The first on Monday 5th August targets the Passport Office and the second on Thursday 8th targets the Home Office as a whole. Details are below. Please take some time to contact them and demand they stop victimising PCS reps and reinstate Jon Bigger. The Civil Service Rank & File Network is calling for action aimed at Jobcentre Plus in the week of the 5 August. The government is trying to draw a dividing line between claimants and those in work as it attacks all of us. Nowhere is this more clear than at the Jobcentre, where low waged civil servants are expected to impose sanctions and enforce unpaid work schemes for unemployed people subsisting on benefits. But the government’s dividing line is an artificial one, as evidenced by the extension of the sanctions regime to part time workers receiving in work benefits, including 40% of Jobcentre staff. Whether unemployed or in work, we are all working class and have shared interests in opposition to the government and the boss class. We need to stand and fight together – not against one another at the government’s behest. That is why the CSRF Network has argued strongly for Jobcentre workers to resist imposing sanctions on claimants. We took this message to the conference of the PCS union and intend to push for and build this stance at the coal face, where it really matters. At the same time, it is vital that claimants show their solidarity with workers wherever possible. We are also at the sharp end of the government’s attacks and pushing for a more effective and disruptive campaign of action in response – despite the apparent hesitation of PCS, who have scaled back their campaign to action short of strike during July and August whilst they “consult” over what to do in the autumn. The fact is that we cannot afford to wait until autumn to continue fighting. We face a hostile government and a hostile employer who quite frankly aren’t concerned in the least by the occasional one day strike. That is why the CSRF is calling for a week of action aimed at Jobcentres. This is only part of a broader effort to push for a more effective and sustained campaign strategy, but it is an important one. Here we have the potential to forge the links of a practical solidarity between workers and claimants – and also to cause disruption even when no strike has been called. In the week commencing 5 August we encourage civil servants to work with claimants and others who oppose austerity in your area. Hold workplace meetings to discuss the type of action needed to win. Stage pickets outside of the Jobcentre to bring workers and claimants together in opposition to the government. Occupy the Jobcentre and bring business to a halt for as long as you practically can. The action taken by Edinburgh Coalition Against Poverty against Leith Jobcentre is a brilliant example of the kind of protest we are advocating. Most importantly, we urge you to treat this action as just one element of a broader campaign. There will be more national days of action, but don’t just wait for them – do whatever you can where you are. We will not see significant movement or concessions from this government until we are continually and severely disrupting business as usual. The national executive of the PCS union has stalled action over attacks on the civil service until September. This is a clear demobilising tactic which must be met with a summer of rank-and-file activity. The union leadership’s decision is to call for a “national day of protest activities” on Thursday 27 June, when teachers in the north west of England are taking strike action. This will be followed up with a consultation through the summer, which they will consider in September when they will announce the next phase of industrial action. We should welcome the fact that the union is now considering a much broader range of industrial tactics than simple one day strikes. However, it is at the same time disappointing that a relatively solid three months of rolling action will now be followed by a lull in activity of almost the same duration. That this has now been watered down to “protest activity” suggests either that the leadership have lost their nerve, or that they were being disingenuous from the start. We agree that action should be led by the will of the members, but this should be an ongoing process of ground-level organisation, not a corporate engagement exercise which acts as a brake on the dispute. In response to this development, the Civil Service Rank & File Network believes that workers need to take the initiative so we do not gift the government with a summer of inaction from those they are attacking. We therefore urge workers to organise whatever form of disruptive activities are possible on June 27. This could be anything from flexi protests and short walkouts to sit down strikes and occupations. PCS wants this day to send the Cabinet Office and ministers a message – and that will not happen if we limit ourselves to passively waving a flag during our lunch breaks. Rank-and-file workers should also proactively engage with the union’s consultation. Not by filling in a questionnaire, but by convening Special General Meetings in order to debate tactics with your workmates and putting demands on the leadership to get its act together before September. These meetings can also be used to set up membership-controlled strike committees and strike funds in order to keep what the rank-and-file want at the heart of the struggle. The Civil Service Rank & File Network intends to call further national days of action throughout the summer. We would also encourage workers to stage whatever actions they can locally alongside any national coordination. Footnote: Special General Meetings, in most PCS branch constitutions, are called on request from a certain percentage of members in the branch. An example request is attached (.doc), but the number of members’ signatures required and other details may vary depending on your branch constitution. 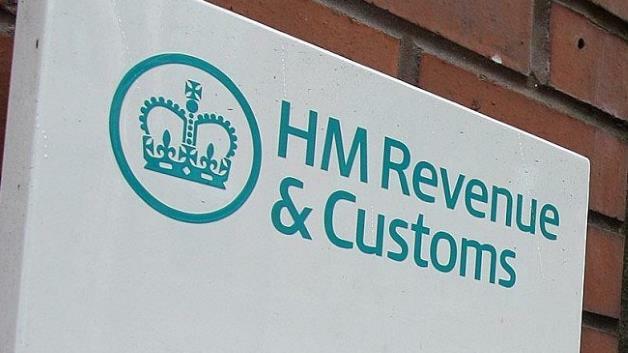 HM Revenue & Customs announced in February that it was running a pilot to “build capacity” in their Benefits & Credits directorate by outsourcing to the private sector. Like a previous trial in Contact Centres, this would be a transparent exercise in privatisation – but with the potential to go much further than previous exercises. The move to use private sector contractors was provoked by the need to meet targets set by the Treasury. However, despite this proving that the department is under-resourced the funding for additional staff was denied and HMRC are using a private supplier on a “payment by results” basis. Despite claiming that existing jobs will not be affected, the fact remains that the work out to tender is work that should be done by civil servants. More worryingly, whilst the initial pilot would involve around 30 staff, if successful after three months it would require 700 workers. This is a huge resource which, instead of being employed on the same pay and conditions as colleagues, can be used by the bosses to undercut existing staff. A company called Transactis have won the contract for this privatisation. The latest update from PCS in HMRC states that “following this trial, Transactis could be in a more favourable position to bid for further long term work.” This marks a clear threat to the interests of workers in HMRC. The government’s commitment to privatisation is clear. The only end result of these exercises is casualization and the undermining of pay, conditions and union strength. It must be resisted. As such, on the Tuesday when HMRC & DWP staff are striking in the North West, where the trial takes place, we are calling for a communication blockade of both Transactis and of Nick Lodge, the Director of Benefits & Credits. Telephone and email throughout the day, registering your objection to their involvement in privatisation and demanding that they pull out of the HMRC trial. The aim will be not only to register protest but to actively disrupt business as usual by tying up the phone lines. We ask that, if possible, folks make the effort to call. Emails and texts are easy to send, but they’re easy to ignore too. Phone calls are much more effective at disrupting business as usual. Be creative. Complaints and messages of support are good, but so is playing music down the phone, taking the mick and tying up the phone lines in any way possible. Call back and call often. Keep up to date and get involved by signing up to the list here.